Is your WordPress website displays this: “Briefly Unavailable for Scheduled Maintenance. Check back in a minute?” Also, you are not able to access your dashboard. First of all, It is not an error, Its just a notification message. Users who update their websites frequently to the available updates are much familiar to this message. Why does the Maintenance Error Occur? 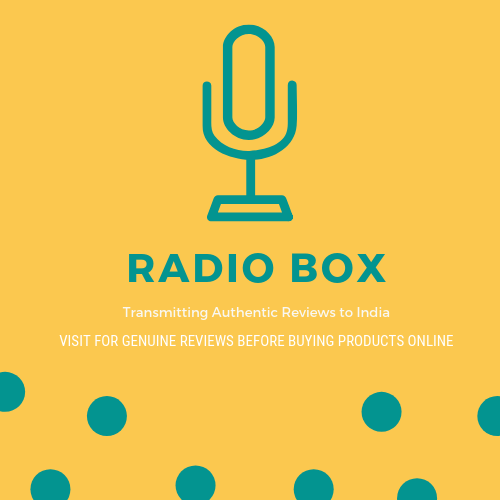 Suppose you are updating your Plugins, Themes or WordPress core and at the same time, someone visits your site. Then the visitors will see this message. 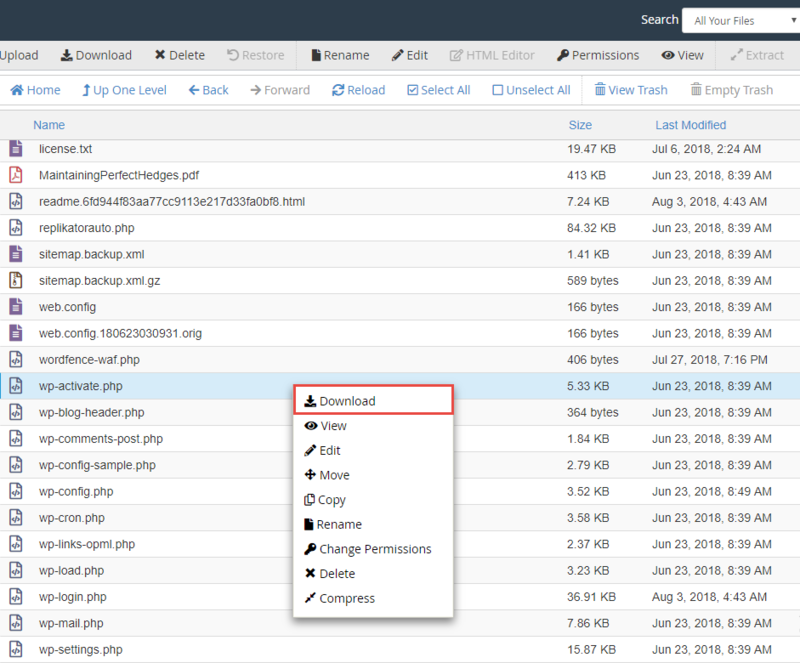 During the Update or Maintenance Process, WordPress creates a new file called .maintenance in the root directory of your site. How to Fix Maintenance Error in WordPress? The quickest solution to this problem is by deleting the .maintenance file from the server, and it takes two minutes of time to do it. If you are not familiar with FTP or you don’t know what FTP is, don’t worry about it! You can ask your Host Provider about this issue and ask them to delete the .maintenance file from the root of the WordPress Directory. 1. Login to your remote files using FTP Client like FileZilla, CoreFTP, or WinSCP. 2. Enable the View Hidden Files option, if you are not able to see the dot files on your server. 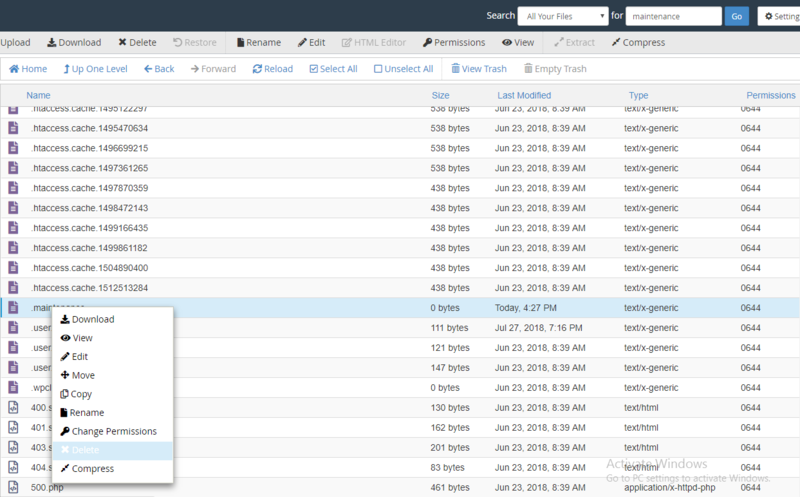 The WordPress root directory is where you can find various folders and files such as wp-content, wp-includes, wp-admin, etc. You will also see the .maintenance file here. 3. Find the .maintenance file, right click on it, and select Delete. Once you delete the .maintenance file from the server, refresh the site and then check the error. 1. Login to your Terminal using your SSH Connection. 2. View all your files using ls -al command. 3. 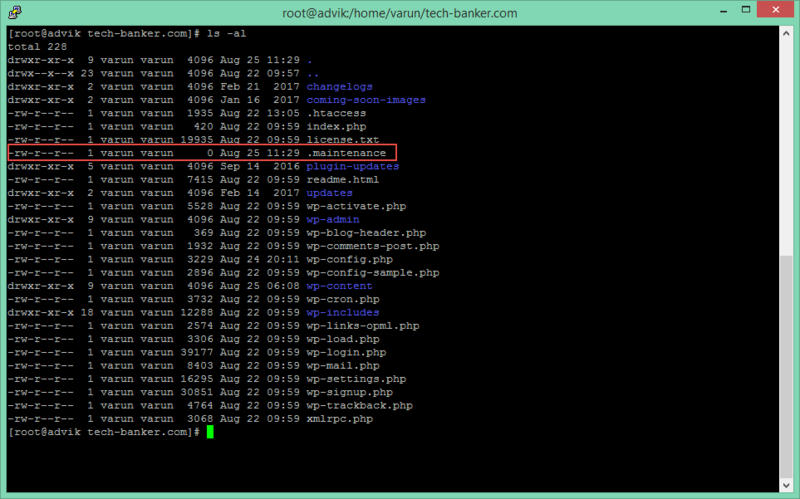 Find the .maintenance file in your root directory, delete it using rm – rf. maintenance command. Once you delete the .maintenance file from the server, refresh the site, and the error should disappear. If you have access to the cPanel of your Server, you can fix the problem by visiting the File Manager Module. 1. Log in to your Web Hosting account and look for cPanel option. 2. 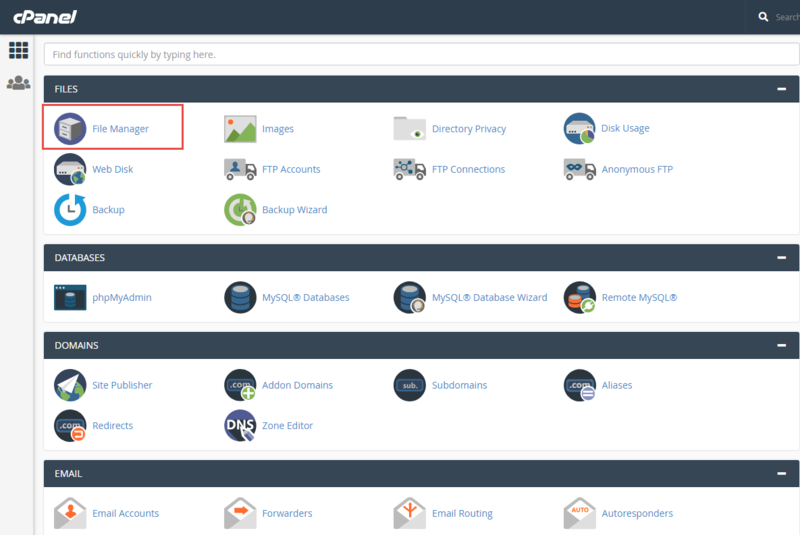 View all your files using File Manager Button located in the cPanel. 3. Find the .maintenance file, right click on it, and select Delete from the list. If the above methods are not working for you, you can try another simple technique. 1. 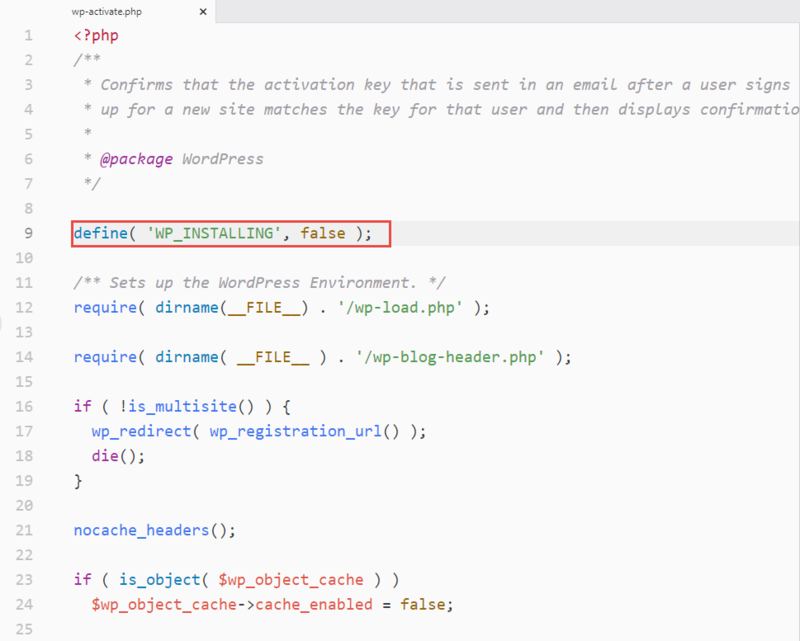 Download a wp-activate.php file from your WordPress root directory. 2. Edit this file in any PHP Editor like NetBeans, Atom, PHPStorm, Notepad and find define(‘WP_INSTALLING’, true); in the file. 3. Replace True with False attribute as shown in screenshot. 4. Save the changes when it’s done, and upload wp-activate.php back to the WordPress root directory. These kind of WordPress errors are very common and their solutions are fair easy to fix as well if you have the knowledge of FTP. Hope this article will help out those who encounter Briefly Unavailable For Scheduled Maintenance. Check back in a minute error.